Biography of Rabbi Yaakov Kamenetsky (1891-1986) and his relationship to the Rabbi Meir Baal Haneis charity in Israel. Rabbi Yaakov Kamenetsky (1891-1986) was a famous Rabbi, Rosh Yeshiva, Posek and Talmudist in the post-World War II American Jewish community. Rabbi Yaakov Kamenetsky was born in the hamlet of Kalushkove, Lithuania, in 1891. Due to a decree by the Russian Tzar, his father Reb Binyamin, a timber-dealer and owner of a large flour mill, lost his entire business in one night. The family then moved to the village of Dolhinov where Rabbi Yaakov grew up and attended the local cheder. The study hours were so long that when Rabbi Yaakov's mother would pack his lunch she would put in an oil lamp to be used when darkness fell and the boys continued learning. Rabbi Yaakov Kamenetsky also studied in the famed Kelm Talmud Torah, famous for its focus on task and ability to avoid distraction. At the age of eleven, he left home to learn in the yeshiva of Minsk. After he passed the entry exam, the rosh yeshiva, Rabbi Shlomo Glovenchitz, still doubted whether he should accept him, due to his youth. "You are not even bar mitzvah yet", he remarked. With childish innocence, the young Yaakov replied, "Well, I came here to learn, not to be the tenth man of a minyan." In Minsk, the Kamenetsky household hosted many of Yaakovâ€™s friends, amongst others - the future Rabbi Reuven Grozovsky, and the future Rabbi Aaron Kotler. In 1905 Rabbi Yaakov Kamenetsky traveled to Slobodka, a suburb of Kovno Lithuania, to learn under Rabbi Nosson Tzvi Finkel, who is known as the Alter of Slobodka. He also studied in the yeshivos of Slutzk, Krinik and Moltsh. 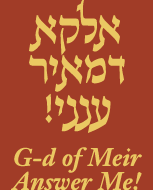 During World War I he took refuge in Lomza in the yeshiva of Rabbi Yechiel Michel Gordon. In 1919 Rabbi Yaakov married Ita Ettel, the daughter of the Slabodka Mashgiach Rabbi Ber Hirsh Heller. He studied in the Famous Kollel of Slabodka until 1926. In 1926 Rabbi Yaakov Kamenetsky was appointed the Chief Rabbi of the Lithuanian city of Tzitavyan. In 1937 Rabbi Yaakov travelled to North America to collect funds for the Slabodka Kollel. While in North America he was offered and he accepted rabbinical positions in Seattle and Toronto. In 1945 he accepted the offer of Rabbi Shraga Feivel Mendelovitz of Yeshiva Torah Vodaas in New York to become the Rosh Yeshiva there. In 1968 Rabbi Yaakov Kamenetsky retired from his position as Rosh Yeshiva and moved to Monsey New York. For the rest of his life Rabbi Yaakov Kamenetsky was a beacon of light and a pillar of truth to the entire Torah world. Along with Rabbi Moshe Feinstein, he led American Jewry in issues of halachic and spiritual guidance until 1986, when both men passed away within a few weeks of each other. Rabbi Yaakov Kamenetsky had tremendous concern for families in Israel and the Rabbi Meir Baal Haneis Salant charity fund. Rabbi Feinstein is a signatory on the historic 1979 Kol Koreh (broadside) on behalf of Rabbi Meir Baal Haneis Salant, together with such Torah giants as Rabbi Moshe Feinstein, Rabbi Yaakov Yisroel Kanievsky The "Steipler", Rabbi Shloma Zalman Auerbach, Rabbi Elazar Simcha Wasserman, Rabbi Dovid Povarsky, Rabbi Yechiel Michel Feinstein, Rabbi Moshe Shmuel Shapiro, Rabbi Shmuel Birnbaum, and many, many others. May their memory be a blessing to all.